For the ten years it spent on television screens (before emerging again for reruns until the heat death of the universe), Friends was one of the most popular shows around. When your only competition is Seinfeld, you really did something! Watching the antics of the group of six friends as they stumbled and dated their way around New York City made for iconic television, which never failed to get big laughs. Even today, it’s consistently ranked as one of the greatest sitcoms of all time. Something has changed over time, however. Watching the show today, when we’re a little older and hopefully a little wiser, a different, more troubling side starts to emerge. We were too busy laughing the first – or seventh – time around, but now… Now we can see the Friends are less than friendly – to each other and to the outside world. Examined critically, it’s plain to see Friends is far from perfect. These are our biggest issues. 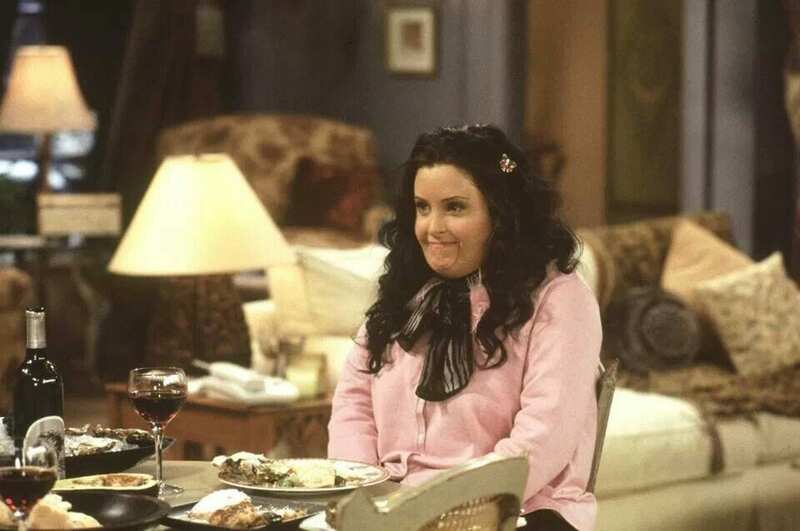 Monica’s controlling type-A personality is often played for laughs, but if you stop to think about it, it’s actually not funny. From thinking her maid stole from her (y’know, because she’s a maid) to constantly belittling Chandler, she’s not the best person. We’re supposed to give her a pass because it’s “quirky,” but how about going for “normal human being”? This one actually has us a little concerned. Joey was never smart, but initially we were led to believe he was street wise even if he wasn’t educated. As the show progressed, however, his intelligence dropped shockingly. Is there a gas leak somewhere in his apartment? How could he not have known what air-quotes are? Somebody should’ve called a doctor – say, Dr. Drake Ramoray. “We were on a break” is actually the smallest of Ross’ sins. He and Rachel made for one of the most iconic TV couples in history, but they both had their faults – to put it mildly. Ross is possessive to the point of obsession. He constantly hovers over Rachel, keeping other men at bay. You’re a paleontologist, Dr. Geller, so try excavating your trust issues. Phoebe is one hot mess. She’s flaky and has unexplained anger outbursts, but that’s not even the worst bit. The worst is that she has all these values – not eating meat, resisting corporations – and abandons all of them with little to no provocation. It’s unclear why she joined the group to be begin with, and she undoubtedly never ceases to make the others regret the day she did. This is the big one – Rachel is probably the worst Friend of all. She manipulates, undermines, and sabotages everyone else’s happiness – for no other reason than to just do it. Heck, she carries out a convoluted scheme to sabotage Ross and Bonnie’s relationship, but dumps the poor guy the moment they get back together (again). Who hurt you, Rachel? Monica is a successful New York City chef. Ross is a paleontologist who works at a museum AND teaches at NYU. Chandler is… Well, you get what we mean. How do these busy professionals working full-time jobs finding the time to spend half the day hanging out at a café? By all rights, Joey and Phoebe should be homeless. He’s a struggling actor, despite a Days of Our Lives gig, and she can’t seem to hold down a regular job. Sure, throwaway lines mention that they have less money than the others, but how can they even afford rent in a place like New York City? Ross may be many things, but a good – or even mediocre – boyfriend he is not. He cheats on one girlfriend with Rachel, and then says her name at the altar as he’s about to marry another. He’s played off like this loveable scamp, but come on, dude. That’s not cute. In the show’s final season, Rachel wants to move to Paris to work for Louis Vuitton. She takes her daughter Emma with her. Ross, Emma’s father, dashes to the airport to convince Rachel to stay. But at no point does he seem bothered by the prospect of his daughter leaving the U.S. They’ll pay for that one in therapy bills. Can we talk about Janice for a second? Sure, her annoying voice and “Oh. My. God!” catchphrase are grating, but why is everyone on the show – including Chandler – so mean to her? She seems to be a lovely, caring person, but everyone treats her like the Black Plague. When Rachel is interviewing people for the position of her assistant, she ends up hiring a guy named Tag. She freely admits he isn’t exactly qualified for the job, but he’s attractive and she has a crush on him. She then repeatedly tries making moves on him. Hiring someone just because you’re attracted to them is indescribably creepy. Friends was a product of the nineties, but in many respects it may as well have been on after The Honeymooners. When Ross’ son plays with a Barbie, he freaks out about him playing with “manlier” toys, and the same goes for the male Friends doing “girly” things. Thank God they went off the air before manscaping was a thing. Today, shows go out of their way to feature diverse casts. Friends, though? In 10 seasons, this New York City-based sitcom only had two significant non-white characters (both girlfriends of Ross). Have you been to New York? It’s not only unrealistic, it would also be considered problematic by today’s standards. Joey is the biggest womanizer on the planet, and it’s played off as charming. But it gives us the creeps when we think about it. He sleeps with countless women without so much as calling them back, he’s constantly making off-color remarks to his female Friends, and the thing about Janine and turning up the heat? Eww. This may be nitpicking but bear with us. Ross blurts out that he loves Monica for the first time when she dances around with a turkey on her head. Then, he says it again when he’s talking to Phoebe and a flabbergasted Monica happens to overhear. Why is she so shocked? Did she forget he already said that once? Comedies are the product of their times. The Honeymooners was of the fifties, All in the Family of the seventies, and Friends a nineties’ product. As such, certain aspects of it have aged pretty badly. Like the virulent body shaming of Monica, and how everyone makes fun of her – while she wasn’t even that overweight! Rachel and Chandler seem to have had their first meeting on at least three different occasions. 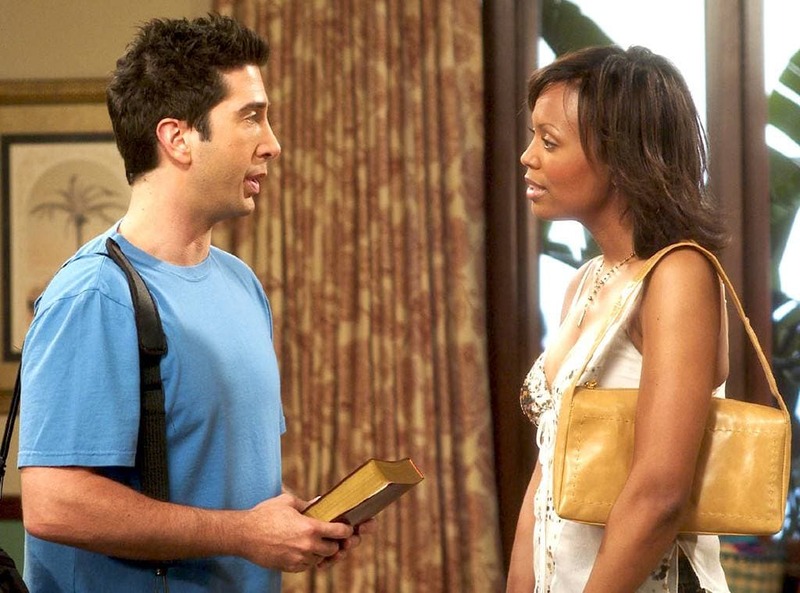 First, they met in the show’s first episode when Rachel wanders into Central Perk. Then, it seems they met in high school as Chandler was already friends with Ross. Lastly, a flashback scene has them meeting in a bar. Talk about 50 first meetings. Let’s talk about the elephant in the room – Ross’ relationship with “Cutie McPretty” herself – Elizabeth. For Ross, a college professor, to date his 19-year-old student is not only unethical, it’s also against the university’s rules – but neither seems to care. We can totally see why Bruce Willis, in a hilarious guest spot as Elizabeth’s dad, seems to detest Ross. In an episode titled The One With The Sharks, which still annoys us today, Monica walks in on Chandler being intimate with himself. In a panic, he quickly changes the channel to a nature documentary about sharks. This, for some reason, convinces Monica he’s into the animals that way. We mean… Who has a shark fetish? 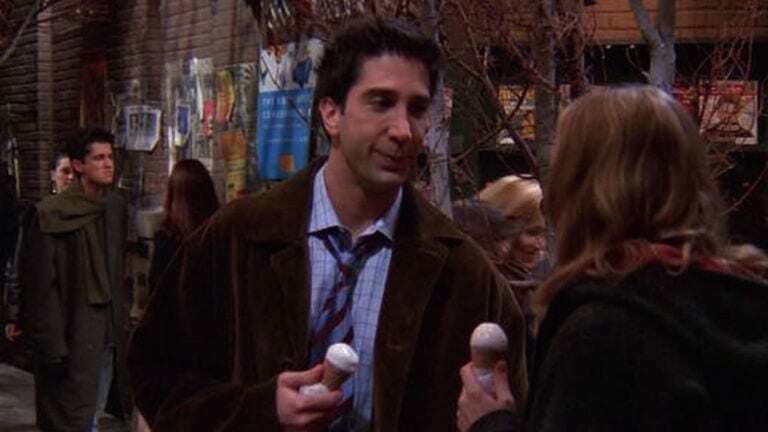 We learn Ross hates ice cream, because he thinks it’s just too cold. Fair enough, some people feel that way. But then, on two separate instances no less, Ross is shown enjoying ice cream without a care in the world. Did he do a complete 180 or was he pretending all along? 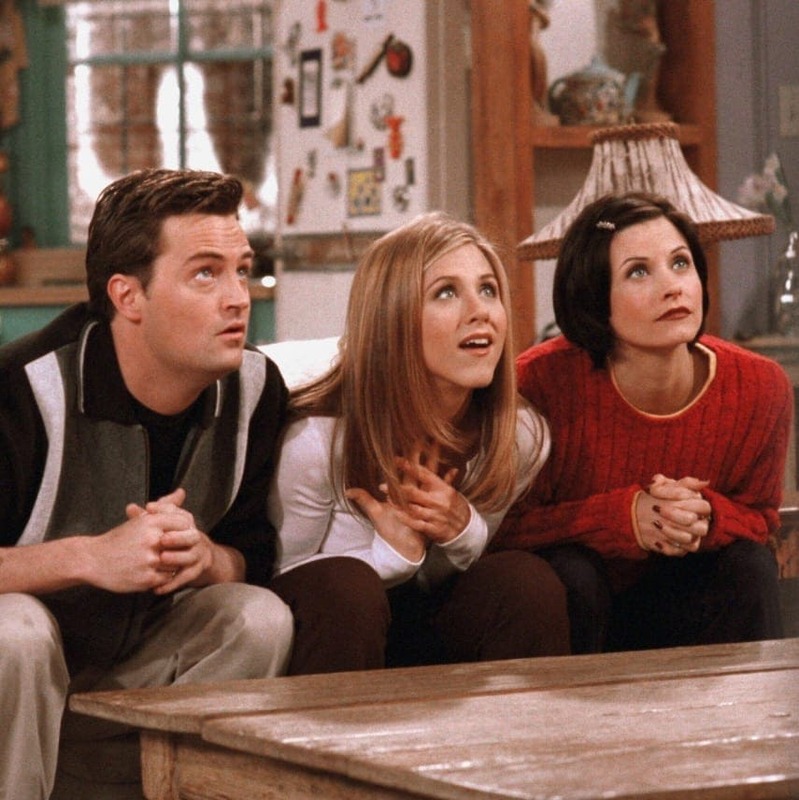 Friends starts out with all of the gang being in their twenties, but it gets very confusing very fast. In one episode, Rachel says her birthday’s in May. In another, she says she’s an Aquarius, meaning it’s either in January or February. Or how about the fact Rachel is the last Friend to turn 30, but earlier Joey is said to be the youngest of the group? Something just doesn’t add up about Janice’s pregnancy. 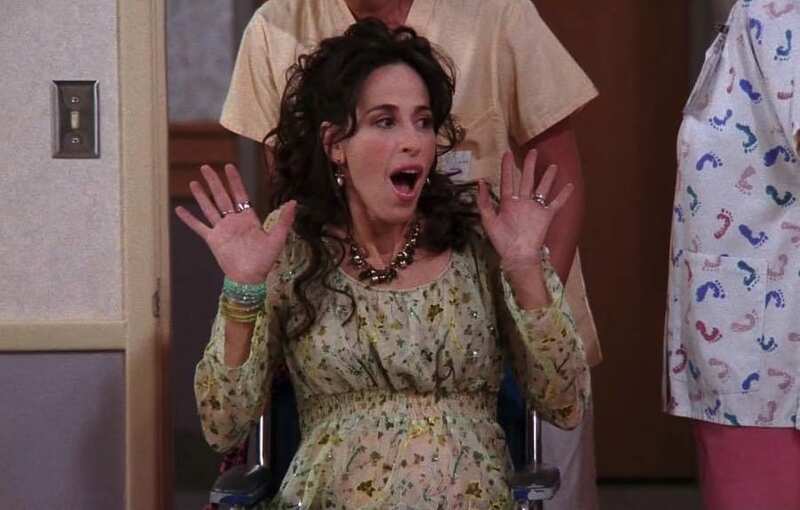 When Rachel goes into labor, she gets Janice for a roommate. Hilarious, right? Only when she meets Monica and Chandler before their wedding – when Rachel was already pregnant – she shows no signs of being pregnant herself. Did she take the express checkout for babies or something? When Phoebe teaches Joey French for an audition, it’s weird enough. She’s had no formal education, and we have no idea where she might’ve become fluent in another language, but we’ll go with it. Only later, she doesn’t know what a “sous chef” is. Did she forget all her French? Ross drawing a mustache on Rachel with a supposedly permanent marker becomes a plot point that sets events in motion, eventually culminating in their getting married in an Elvis chapel in Vegas. This whole thing is made of how impossible it is to remove, only when they wake up the following morning, it’s gone. Huh? There’s one aspect to the show that’s understandable, but also disturbing. Chandler is known for being a wisecracker, constantly telling jokes and rattling off one-liners. Only not a single Friend ever so much as smiles at them. We get why you wouldn’t want the characters laughing all the time, but it just doesn’t make sense. Ross and Rachel eventually get together when he picks her over his then-girlfriend Julie. Still, Ross being Ross, he made a list with each lady’s pros and cons. One of Julie’s cons is that she’s “not Rachel,” only an unfortunate typo – “not Rachem” – leads Rachel to believe he was talking about some rock. It’s one letter off, girl. Monica may the world’s most casual girlfriend. If Ross is overly jealous, she never bats an eye at Chandler kissing multiple other women when he’s with her. First there’s Rachel and Phoebe, then Phoebe again, then Janice, and then a complete stranger?! We’re all for open-mindedness, Monica, but… Get it together. Why did Emily go through with the wedding? One of the most memorable moments in the entire show is Ross saying Rachel’s name when he’s standing at the altar with Emily. His wife-to-be is naturally appalled, only to… go through with the ceremony anyway but run off later? What’s the point? Also, we think saying another person’s name would be a deal-breaker on the spot. Who are all the people in those party scenes? Friends has several party scenes, like for New Year’s Eve, with multiple people in the background. But who are they? For ten years, the gang only hangs out with each other – and the people they happen to be dating at the time. They have literally no other Friends, yet their parties are standing room only.